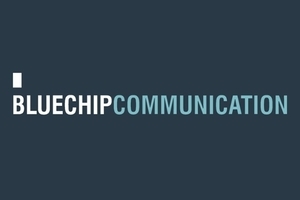 Bluechip Communication is looking for a Digital Marketing Specialist. If you meet the requirements below, you will be eligible to apply via Digital Marketing Community. Develop and implement inbound marketing campaigns. Design, run and report on SEM, PPC and social media paid campaigns. Manage content management via website CMS. Social media content creation, management and reporting. Data analytics and drawing actionable insights. At least 1 year of working experience in digital marketing (SEM, SEO and analytics). Expert experience in designing, launching, managing and reporting SEM campaigns. Proficient knowledge of digital advertising platforms such as (Google AdWords, Google Display Network and LinkedIn advertising). Deep understanding of building landing pages and updating websites via a (CMS). Effective experience in conversion funnel optimization best practice. Excellent working skills in using (PowerPoint, Excel, Word and Outlook). Ability to create and update client reports and dashboards. BlueChip communication was founded in 2004 to fill a gap in the Australian financial services industry uses an integrated approach to PR and marketing, content marketing, social media to help clients to grow their business.